Adelaide has been described as “one big playground for local cyclists”. The city has a bike friendly culture and the infrastructure to support it. Situated between hills and coastline, many bike routes in the city are flat making cycling pleasantly easy. That being said, the surrounding hills offer more challenging rides for those cyclists who enjoy suffering. So, mount your bikes and start exploring Adelaide today! 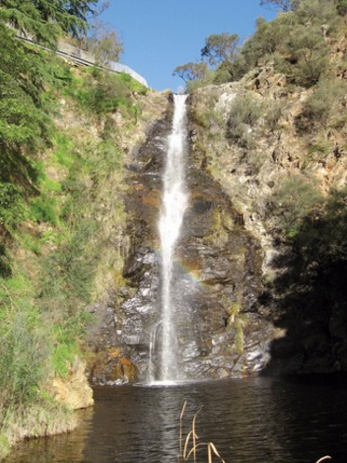 This short and sweet ride will lead you to one of Adelaide’s most accessible and beautiful natural features: Waterfall Gully. Passing through the suburbs of Kensington and Burnside, this ride is easy with only about 170 metres of gentle climbing. Discovering the stunning waterfalls at the end of this ride makes the one-to-two-hour ride (12kms) worth it. This is a great ride for beginner (Green) level cyclists to share with family or friends. More information. Although this is a short ride of only 7.5 kilometres, it’s a tough one. After the first 300 metres, it’s a steep climb all the way to Norton Summit. The beginning is particularly challenging then it eases off (slightly) as you progress. 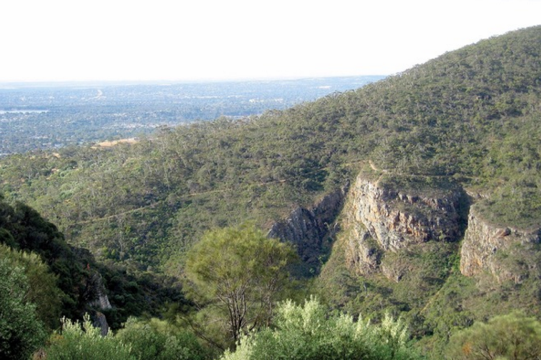 Luckily, the panoramic views over Morialta Gorge, the city and the coastline will distract you from your burning legs. This ride takes one to two hours and is suitable for intermediate (Blue) level cyclists. More information. 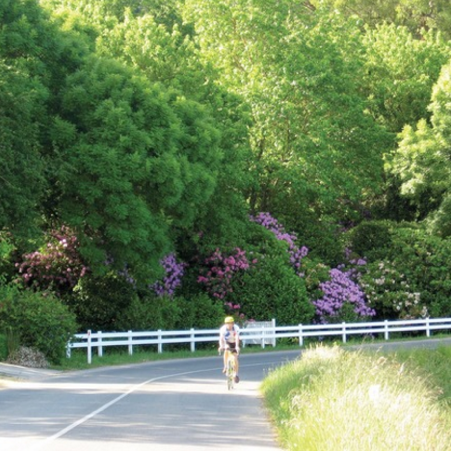 This ride is a scenic rollercoaster offering landscapes of hills, valleys and quaint villages. It’s all ups and downs on steep, narrow winding roads – be cautious and keep your eyes on the road as there are some sharp turns. It is not recommended for wet weather as the trail can get slippery, but on a dry, sunny day it is just glorious. This ride is an extension of the Tower to Summit ride. It takes one to two hours (25kms) and is recommended for advanced (Black) cyclists. More information. For one of the best Mountain Bike tracks in Australia, look no further. Cudlee Creek Forest combines beautiful backdrops with an awesome network of cross-country and downhill loop trails. This venue caters for all skill levels – just look out for the signs classifying each trail. 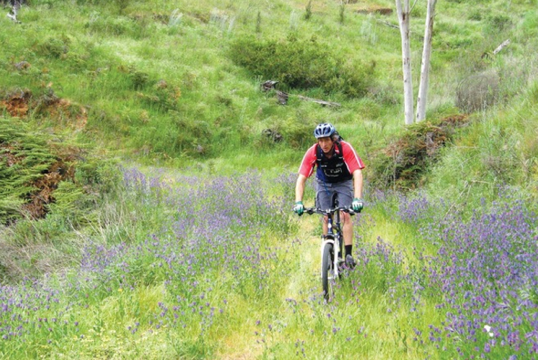 For the more daring bikers, there are seriously challenging single tracks with steep climbs, descents and obstacles. Distances vary depending on the track but take in general one to two hours. More information. With views along the esplanade and Coastal Path what’s not to love about this ride? Even better, there is only one set of traffic lights and no hills! You also have the choice of meandering along the coastline or taking the on-road option. This ride is enjoyable for beginner (Green) level cyclists taking only one to two hours (24kms). More information. This ride is the perfect way to discover the region while getting a workout. The Barossa Ranges offer quiet, rolling roads and typical Australian bush landscapes. Getting straight to it with a hard climb up Mengler Hill, you’ll then ride by vineyards and grazing land until you reach the Tanunda Creek Road turn-off. Now for the workout, but it’s not too bad, just a few ups and downs through farming land and native scrub. This cycle takes one to two hours (33kms) and is great for intermediate (Blue) cyclists. More information. This ride up Old Willunga Hill is a challenge that most cyclists aim to accomplish. Why? Because it is hard, really hard. After a long, torturous climb, you’ll traverse the Willunga Range with stunning views. But what goes up must come down, you’ll end the ride with a steep, snaking downhill descent. The ride takes one to two hours (25kms) and due to its difficulty is best for advanced (Black) level cyclists. More information. Despite the hills, this ride is mostly gentle with only a couple of challenging climbs and descents. 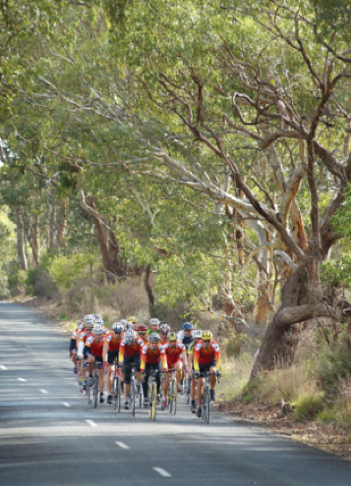 Surrounded by native gums and European trees, the route is mostly shaded. You’ll leave from the charming village of Aldgate and wind your way between four historic towns. Before you leave, make sure to check out Aldgate’s welcoming cafes and cottage style gardens. This loop takes one to two hours (19kms) and is ideal for intermediate (Blue) cyclists. More information. 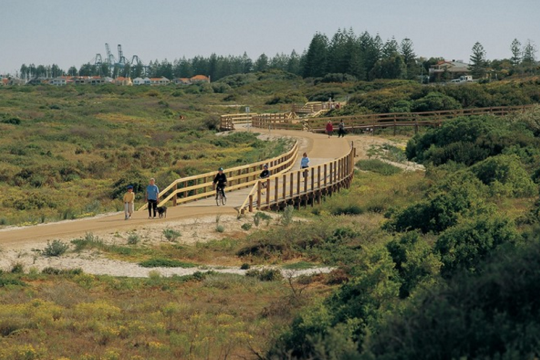 Adelaide’s varying and vivid landscapes offer adventurous cyclists a diverse range of trails and routes. No matter what your level, you’ll be sure to find an enjoyable bike ride in Adelaide! Have you already tried out one of these bike rides? Tell us all about it in the comments below!